Local chefs went wild when Viridian Farms debuted their padron peppers and again when Olympic Provisions brought out their take on Spanish chorizo. And it looks like it's happening again with the pioppino or black poplar mushrooms that Roger Konka and Norma Cravens are cultivating at Springwater Farm. Always quick with a quip, Roger's dubbed it "the poor man's porcini," which trips off the tongue much more easily than its Latin name, Agrocybe aegerita. 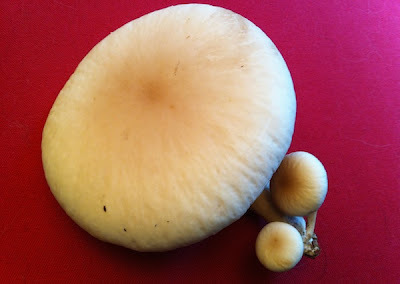 Details: Pioppino mushrooms from Springwater Farm. Available at Portland Farmers' Market at PSU, Hillsdale Farmers' Market, Lake Oswego Farmers' Market and Westmoreland Farmers' Market. Links, hours and maps on the Oregon Farmers' Markets page. Instant hits are usually reserved for the latest pop culture phenomenon. 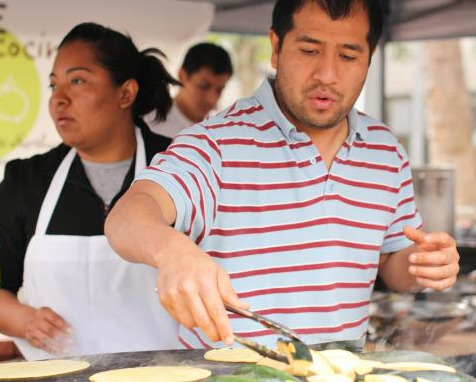 But PDX-ers, in their lust for ever-more-local food sources, jumped on Chef Noe Garnica's Verde Cocina almost as soon as it debuted at area farmers' markets. Now it looks like the family business is going all bricks and mortar with a retail outlet in Hillsdale at the location recently vacated by Kurt Spak's blink-and-it's-gone Caffe Autogrill. Look for the fresh Mexican fare you've come to love like fajitas, chilaquiles and tacos made with local meats and seasonal vegetables, plus new menu items courtesy of expanded kitchen capabilities. And in the space next door vacated by Spak's Alba Osteria, rumored tenant Ramsay's Dram vanished without a trace to be replaced by Sasquatch Brewing, a new 7-barrel brewpub started by Portland native Tom Sims. Mexican food and beer? Sounds like a pairing made in heaven! Details: Verde Cocina, 6440 SW Capitol Hwy. 503-750-2722. Big news broke this week from Hollywood…no, not Tinseltown, but the Hollywood neighborhood's eponymous farmers' market…that they are taking over the smaller but vital Lloyd Farmers' Market. It began began in 2007 as part of a grant to promote active living and healthy worksites and was managed by Eamon Molloy, market manager at the innovative Hillsdale Farmers' Market. 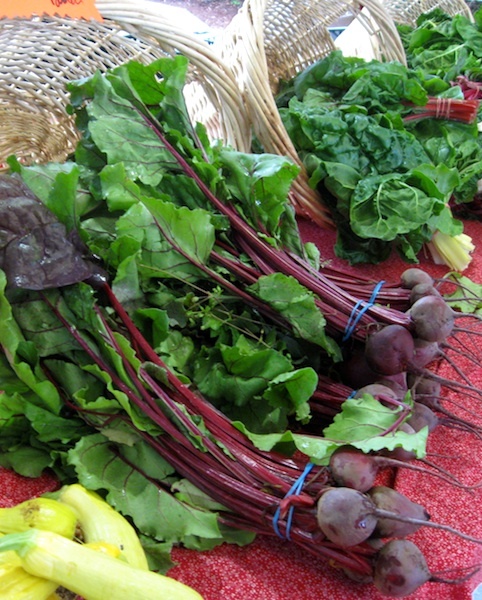 "Hollywood has the experience to further the growth and success of the Lloyd Farmers Market. Adding debit and EBT services [will be] a big plus to this market," said Molloy. 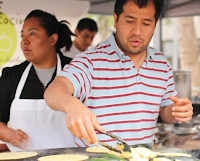 Location and hours remain the same, and Lloyd will continue to serve office workers and neighborhood residents as well as giving the Hollywood Farmers' Market a mid-week presence. Hollywood also announced it will officially be going year-round on first and third Saturdays from December through April, fulfilling neighbors' requests and its vendors efforts to develop "cutting edge season extension techniques," according to market manager Sarah Broderick. Details: Lloyd Farmers' Market. Open Tuesdays, 10 am-2 pm year-round; Thursdays, 10 am-2 pm, June-Sept. In the Oregon Square Courtyard on NE Holladay Street between 7th and 9th Aves.